Condensation is the biggest problem during the winter season. Humidity condenses on cold surfaces and makes everything soggy. At risk are liveaboards, houseboats, and motor coach owners. 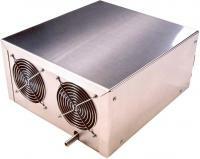 "Let our marine dehumidifier help you reduce condensation during this cold winter season." PS We are in Winter Mode: For many in the Northern Temperate Climates this is the off season. Boats and RVs have been winterized and tucked away for the winter. But for many of you there is no off season. I'm talking about those of you in Live Aboards, Houseboats, and Motor Homes. Find out how our dehumidifier will make living aboard this winter less soggy and more livable. Check it out here..
No longer hot and sticky? Just cold and soggy? Feeling all wet? Discover 3 Steps to Beating Condensation and Staying Dry this Winter. 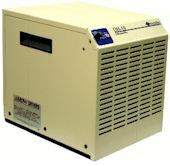 A Dehumidifier especially for boats and RVs and other uses. Size: Height: 12.5", Width: 12", Depth: 15.5"
Do you have a program for mold control in your boat or RV? - our dehumidifier in our boat and RV section has been selected because it has all these features. If you are still undecided look at our Dehumidifier Comparison -The Marine Advantage vs. name brand dehumidifier designed for home use from your Department store or home center. Also addressed here are tables for comparing marine products designed to remove moisture.